The new 2018 Land Rover Range Rover Evoque presents the adventurous side of luxury and you can experience it today at Land Rover Honolulu. Meanwhile, features such as 2-Zone Climate Control with Second Row Vents and Air Quality Sensors provide optimal comfort for all of your passengers. Drivers on the island of O’ahu can experience a new kind of sophistication. 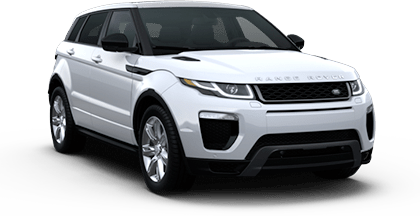 Test-drive the new 2018 Land Rover Range Rover Evoque today at Land Rover Honolulu, serving Kailua, HI. One thing the 2018 Land Rover Range Rover Evoque provides that the 2018 Mercedes-Benz GLC-Class can’t offer is Land Rover’s signature adventurous spirit. Housing an Ingenium 2.0L turbocharged 4-cylinder engine, the 2018 Range Rover Evoque issues 237 horsepower and 251 lb.-ft. of torque, giving Honolulu drivers the power to explore – a nice option to have on the island of O’ahu. All the while, its lightweight, compact 9-speed automatic transmission optimizes fuel economy, achieving an EPA-estimated 29 highway MPG. 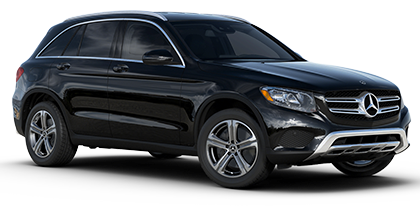 Mercedes-Benz GLC SUVs can’t match that kind of efficiency. Along with muscle, the luxury subcompact SUV also delivers top-rated capability, including 19.7 inches of wading depth and 8.3 inches of obstacle clearance. Drivers can also take advantage of versatile off-road features, including a Terrain Response and Hill Descent Control. Meanwhile, Torque Vectoring by Braking technology and an Adaptive Dynamics system provides maximum mobility in all driving conditions. The Land Rover Range Rover Evoque also provides standard 4-wheel drive – one more advantage over the Mercedes-Benz GLC-Class. Car-buyers can also opt for the 2018 Land Rover Range Rover Evoque HSE Dynamic which offers a 286-horsepower Ingenium 2.0L turbocharged 4-cylinder. Drive a luxury SUV that’s built for drivers in Hawaii. Schedule a test drive today at Land Rover Honolulu. Along with its courageous appeal, the new 2018 Land Rover Range Rover Evoque offers a wealth of top-of-the-line safety features, so drivers can bring peace of mind along for the ride. The new Land Rover Range Rover Evoque provides standard Emergency Brake Assist and Front and Rear Parking Sensors, as well as a host of available driver-assist features. Opt for innovative technologies, including Lane Keep Assist with Driver Condition Monitor, a Blind Spot Monitor, Traffic Sign Recognition and Adaptive Cruise Control. For optimal awareness, drivers can also opt for a Surround Camera System which allows a 360-degree view of your SUV. You won’t find an intuitive experience like this in a new Mercedes-Benz GLC. Test-drive the cutting-edge 2018 Land Rover Range Rover Evoque today at Land Rover Honolulu. The new 2018 Land Rover Range Rover Evoque provides an innovative interior, helping to elevate every ride. Inside, you’ll find a wealth of cabin tech, including a standard 8-inch InControl Touch infotainment system with touchscreen capability and navigation. The cutting-edge interface also offers a rearview camera, Bluetooth technology, and USB connectivity. Drivers can also opt for a 1-inch high-resolution touchscreen, along with a long list of available features. Options include HD Radio, Satellite Radio, a Wi-Fi Hot Spot and a premium 16-speaker Meridian audio system. Explore the 2018 Land Rover Range Rover Evoque and its state-of-the-art cabin. Visit Land Rover Honolulu and find out why drivers are choosing Land Rover over 2018 Mercedes-Benz GLC models. The side-by-side comparison between the 2018 Land Rover Range Rover Evoque and 2018 Mercedes-Benz GLC-Class isn’t even close. Visit Land Rover Honolulu today and see why the Land Rover subcompact SUV is Hawaii’s choice adventure vehicle. First, explore its captivating lineup of trim levels – the 2018 Range Rover Evoque SE, SE Premium, Landmark Edition, HSE, HSE Dynamic, and Autobiography. The luxury SUV also offers convertible options, such as the Range Rover Evoque convertible SE Dynamic and convertible HSE Dynamic. Test-drive the new 2018 Land Rover Range Rover Evoque today. Visit Land Rover Honolulu, serving Kailua and all of the island of O’ahu.